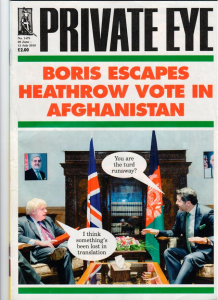 Boris Johnson’s antics over the vote in Parliament on a third Heathrow runway received much coverage in the press. And rightly so. Johnson has always said he was implacably opposed to a third runway and famously said he would lie in front of the bulldozers. Johnson missed the vote by conveniently having a prior appointment in Afghanistan. He even cited national security as the reason not to say where was going. This is pretty deceitful behaviour. Boris Jonson’s excuse for not voting was that him resigning would achieve absolutely nothing. This is a very dubious argument. He did not have to resign in order to vote the way he wanted. And it is extremely unlikely that Theresa May would have sacked him. Far more damaging things against her are being been done and said by members of the Cabinet all the time and they have not been sacked. Very telling in his resignation speech: ” we will be forced to match EU arrangements on the environment”[if we negotiate a ‘soft Brexit’]. So why would we not wish to match the EU’s world leadership in environmental and social protection and regulation?? So that air pollution, noise, biodiversity, climate and human health can all be set aside when public policy and infrastructure decisions such as Heathrow expansion are made? Boris Johnson might still be against a third runway, but he can’t now be trusted. Next Next post: Government attacks us for telling the truth!